features of Fultape indoor full color LED curtains are as follow. 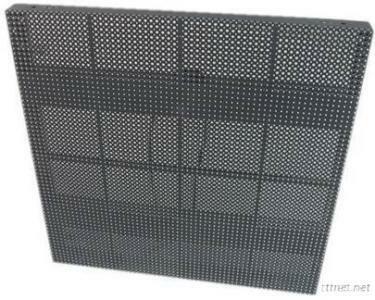 The LED curtain display is specially designed for stage background use. It features wider view angle, finer and clearer image quality. Perfect light distribution curve enables the LED display achieve optimal display effect when watching from whatever angle. The cabinet is made of aluminum material, super slim and transparent. The cabinet has plenty of net patterns, which makes it transparent and become lighter as much as possible. Aluminum cabinet design, new type rotation installation lock and loop handle make it easier to install without any tool.